In 2018, over 540 million RFID tags were used for the purpose of identifying and tracking livestock and pets. Animal identification and tracking methods are used for a variety of purposes, such as ownership verification, biosecurity control, monitoring health and medical history, research, and more. Tagging livestock is becoming a requirement in many countries as more and more governments establish animal tracking regulations. These regulations serve to increase consumer protection, as well as to help prevent and manage the outbreak of disease among livestock. Many governments are now mandating the use of RFID ear tags in order to reduce the amount of time spent tracing disease outbreaks. Without modern tracking technologies like RFID, tracing outbreaks back to the source can take several months. Animal identification and tracking is also common on farms and ranches in areas without government-mandated tracking regulations. Using RFID tags has great benefits for reducing the time and cost of farm management. RFID ear tags stay attached for the lifetime of the animal and don’t fall out or become unreadable when covered in mud like plastic ear tags or barcode systems. A matched pair system includes both the RFID tag and a visual tag with the same EID number to ensure an animal is still identifable by sight. The matched pair system still removes the burden of manually writing down ear tag numbers in order to identify and track animals. In addition to increasing the efficiency of animal counting and day-to-day management, using RFID ear tags can provide greater insight into the pedigree, medical history, and feeding choices of animals. Farms and ranches that see the biggest benefits of establishing an RFID identification and tracking system are those using a complete solution comprised of a mobile RFID scanner and a cloud-based database. Methods such as our idChamp® MT8 scanner connected with the powerful stratus-io app and Cloud-In-Hand® Solutions Platform’s database management system deliver an upgrade to farm management that improves efficiency, reduces human error, and provides time and cost savings from the day-to-day work to long-term animal management decisions. 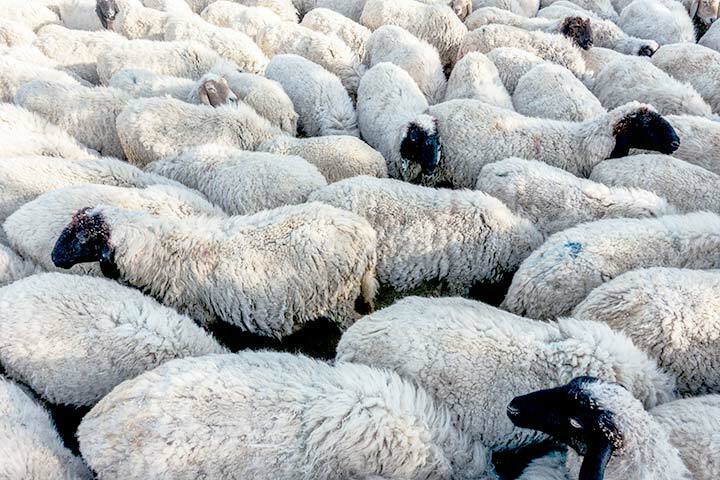 To see the full solution in action, watch as we scan and track a group of RFID tagged sheep in real-time.